​or prior experience. 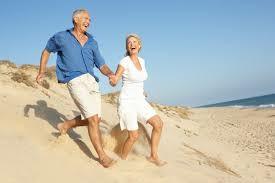 Enjoy youthful vitality while embracing maturity. Click on "Workshops & Special Events"
​for classes and workshops near you! Physical Benefits: Address stiffness in joints, improve flexibility and core strength, increase energy, improve balance, guard against injury, regulate organ and hormonal functioning, activate parasympathetic (rest & digest) nervous system, improve circulation, reduce back pain, ease painful effects of arthritis, improve postural alignment, maintain healthy bone, muscle and connective tissue, enhance skin tone, heighten and/or regulate libido, learn proper breathing techniques, and more! Mental/Emotional Benefits: Proudly and optimistically embrace the changes that come with maturing. 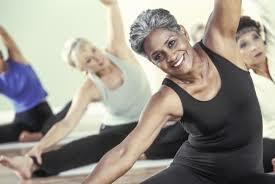 Step fully into the wisdom of your years while maintaining youthful vitality. Manage stress and anxiety, meet emotional challenges with dignity, stimulate brain activity, guard against memory loss and depression, cultivate creativity, embrace change with optimism, and actively generate grace, gratitude & joy! Spiritual Benefits: Learn yoga philosophy to deepen your appreciation for the gift of your precious human life. Cultivate compassion & loving kindness for self and others. Open to the experience of "Oneness" with all that is, was, and will be.